It was 9 AM on a grey, winter’s morning. The wind howled and the rain poured relentlessly. But inside our cosy car we were lost in the world of Papageno and the Queen of the Night. The rain didn’t stand a chance against the magnificent operatic strains of The Magic Flute. We’ve listened to Mozart’s Magic Fantasy many times now, but I’ll always associate it with that first, glorious car journey. We arrived at our destination filled with excitement for the day ahead – in blessed contrast to the other families, with their yawns and grumbles about the weather! Isn’t it wonderful, the way that music can transform everyday experiences into sublime adventures? For me, one of the many joys of homeschooling is learning to enjoy classical music alongside my children. Our favourite resource is the Classical Kids CD series. We began in medieval Venice with Vivaldi’s Ring of Mystery, which tells the story of young orphan Katarina’s adventures during the festival for the dead. The exciting tale is beautifully interweaved with the enchanting music of Katarina’s violin teacher, Antonio Vivaldi. 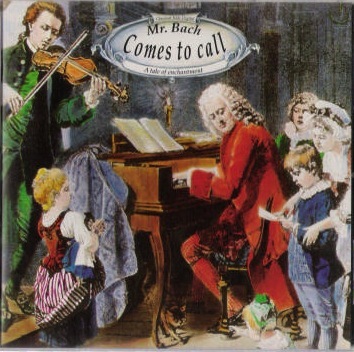 Next, we learned about Johann Sebastian Bach’s life and music in Mr Bach Comes to Call. And Ludwig van Beethoven and his works were brought to life in the entertaining Beethoven Lives Upstairs. The rest of our music “curriculum” I pull together from the internet. I search lists of noted composers (like this New York Times one or this one) and their most famous works. Then I source the music on YouTube. I love it when I turn up gems like this “rant” about Pachelbel’s Canon in D. The comedian’s demonstration of how classical music permeates our culture is hilarious. My kids watch it over and over. 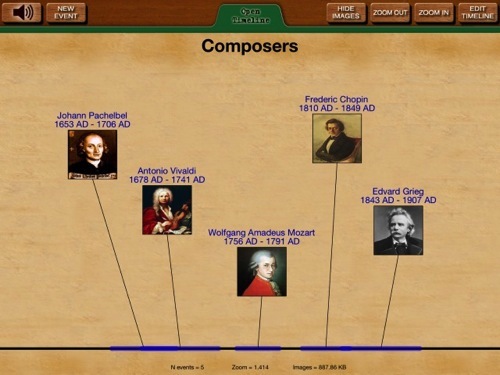 I like to see where composers fit into history, so I’ve created a composers’ timeline on our Timeline Builder app. The kids haven’t paid much attention to the timeline so far, but they might do when we progress beyond the fourteenth century in history. We naturally learn about the places and eras occupied by the composers we listen to, and sometimes vice versa. Eighteenth century Venice was brought to life for us by Vivaldi’s Ring of Mystery, and it was interesting to learn a little about the music of Edvard Grieg before we visited Norway. This year we have the Classical Kids CD’s Tchaikovsky Discovers America and Hallelujah Handel to look forward to, and I might look on YouTube for pieces by Schubert, Verdi and Brahms. If either of my children expresses an interest in going deeper, I’ll be delighted to support their explorations. Until then, we’ll be happy learning about classical music together in this easygoing, meandering manner. Highhill Homeschool’s music lesson planning link-up. This post is about why I decided to make music appreciation part of our homeschool curriculum, and how we do it. Why introduce classical music to young children? Most importantly, I want to introduce my children (aged 6 and 8 ) and myself to a world of listening pleasure. Before we started this, my knowledge of classical music was limited to familiarity with a handful of pieces that have been used in TV ads – that is, almost non-existent. But there must be a reason these tunes have survived for hundreds of years! Classical music is part of our culture and I like knowing that by being exposed to a variety of musical styles while they are young, C and J will effortlessly become familiar with this part of our heritage. I hope that familiarity with some of the great classical pieces will inspire C and J in their own music-making adventures. An appreciation of classical music will also give them a foundation for learning about music theory. I downloaded the Harmony Fine Arts Grade 1 EBook (which also covers art appreciation). Barb of Harmony Fine Arts is an experienced Charlotte Mason/classical homeschooling mum, which makes her schedules easy and pleasurable to use. The Grade 1 HFA schedule is an overview of eight classical composers, each chosen to be accessible to young children (and philistine adults like me!). So far this school year we have studied Vivaldi, Bach, Mozart and Beethoven. Next will be Chopin, Schubert, Brahms and Tchaikovsky. From Grade 2 onwards the Harmony Fine Arts composers are linked to classical history cycles. For example, medieval and renaissance composers are studied alongside the middle ages in Grade 2, late renaissance to early modern composers alongside early modern history in Grade 3. This works well for us as we are following the classical history cycles (and we are studying ancient history this year). Barb of HFA recommends the Masters of Classical Music box set which I bought quite cheaply second-hand on Amazon. (It’s also available even more cheaply in MP3 format, although I like having CDs for ease of switching over from digital audiobooks in the car.) I use this as our main introduction to each composer. 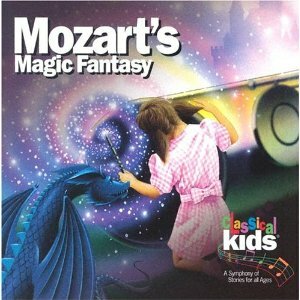 We all absolutely love the Classical Kids series of CDs, which cleverly combine beautiful music with stories that powerfully capture the imagination. Some of the stories contain biographical information about the composer (eg Vivaldi, Bach), others focus on the composer’s work. 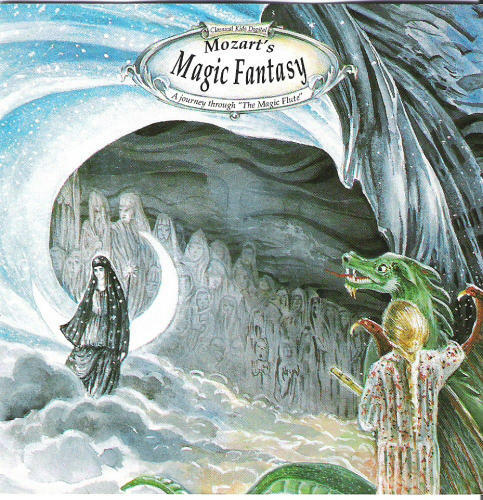 In Mozart’s Magic Fantasy, for example, a girl finds herself inside the story of The Magic Flute. We first listened on a long, rainy car journey – it was so magical having the car filled with the glorious sounds of opera, all of us completely caught up in the excitement of the story! I use YouTube to find short clips to help bring the music alive for the children. There are plenty of orchestral recordings, but my family especially like silly clips like this recording of a skateboarding dog to the soundtrack of Vivaldi’s Four Seasons/Spring. We also loved this rock guitar version of Vivaldi’s Four Seasons/Summer – C is learning to play the guitar and she loved this so much she has it as her wallpaper on her iTouch. Anything that associates the music with feeling good works for me! Famous Composers contains a lively narrative of biographical information about each composer against a background of, and interspersed with, their music. A big hit in our house. Barb recommends Lives Of The Musicians: Good Times, Bad Times (and What the Neighbours Thought) which has one of the best titles ever but which I’m finding it rather dry and I don’t think the children find very interesting. My personal preference for younger children is the Famous Composers audiobook (above), but I’m sure Lives Of The Musicians will be a useful reference to have on our shelves as the children get older. This is a great series covering composers, artists, inventors and other “greats”. See, for example, Beethoven (Getting To Know The World’s Greatest Composers). Many are available at our library. So far we’ve only watched Amadeus which I’d never seen but had a PG rating so we gave it a go. C and I enjoyed watching it, and J heard the soundtrack while playing nearby. The movie is a great reminder of the important place live music had in an era before the invention of recording devices or TV. We also enjoyed the dramatised scenes from Mozart’s operas. When we finally get round to upgrading back to TiVo (which we had in its original form a few years ago but then disappeared from the UK market) I’m counting on its large hard drive and search facility to help us to find more movies and TV about composers (and everything else we study!). There’s a whole month to enjoy each composer, so it’s easy to find time to play the music. In the car my children mostly listen to library audiobooks on their personal CD players, but when I notice anyone’s headphones off (like when they’ve recently finished a book), I switch off my own audiobook and pop on this month’s composer. I also put the monthly composer on in the background when we’re doing art and crafts and at some mealtimes (ie when I remember – but at least this prevents overload!). The children are definitely more familiar with the composers we’ve studied and they enjoy the music. For myself, I am loving getting to know these great works to the extent that I find myself choosing to put them on even when I am alone. I love how relaxing and uplifting classical music can be. We’ve also been enjoying recognising pieces of music used in movies or adverts – even hearing them played by street buskers! Learning about classical music in this way is working well for us all so for now the plan is to continue as we are. Comments and tips for additional resources welcome!